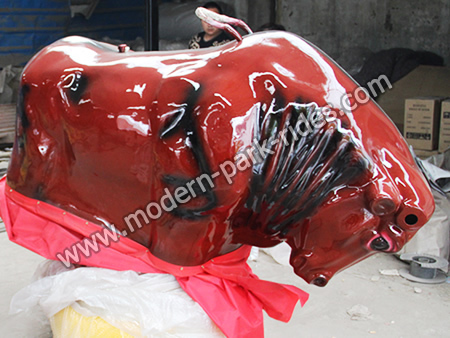 Park rides bullfight rides has the advantages of surprising and thrilling experience, low cost and investment, large appeal, positive participation, only need8 to 10 square meters, two working staffs, easy to operate. It is popular used in the bar, shopping mall, outdoor playground, parks and pedestrian street. Park amusement bullfight rides is one kind of emulational machanical bull, controlled by the computer. Having the thrilling and challenging features, can cultivate the visitors brave personality and healthy body, suitable for the city people desire for conquering and pursueing thrilling sense.